Licensed background music for business settings. SiriusXM Music for Business offers you over 100 professionally curated channels of endless streaming music. Every song is 100% licensed via ASCAP, BMI, and SESAC, and your royalty fees are taken care of with your Sonu Media subscription. Business owners understand that choosing the right background music for your facility can make a huge difference in branding, sales, and overall mood. SiriusXM for Business has stations for nearly every popular genre, and we serve businesses of every style across the nation. We are very proud of how our overhead music services help businesses create their own unique sound of success, and we cannot wait to add your brand to our rapidly growing family! Listen to samples of SiriusXM for Business channels, and hear for yourself why so many businesses are choosing our licensed background music. SiriusXM for Business is very popular with the Hospitality industry. With endless streaming uninterrupted family friendly stations, Hotel & Motel staff can rest assured their background music will never offend a guest in their lobby, gym, pool or common areas. 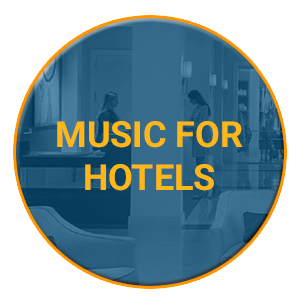 Background music for hospitality facilities can be tricky without centralized management tools, but the Grace Digital Receiver allows property owners to manage all of their hotels from one web portal. Play the right music for your guests, both over your sound system and for your callers on-hold. There are a number of Doctors and Surgeons who refuse to operate without SiriusXM in their operating room. 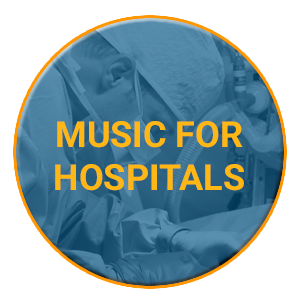 Our professionally curated playlists offer the best in overhead music for healthcare facilities. Offer your patients and staff over 100 channels of endless streaming music, and use the FREE SiriusXM Mobile App to control your hospital’s background music from anywhere within your healthcare business. Freedom, Satisfaction, and Control all at your fingertips for less than $1 a Day. Overhead music for Retail Stores is a specialty for SiriusXM. Once again, our Family Friendly channels make playing music for all-ages simple and worry-free. 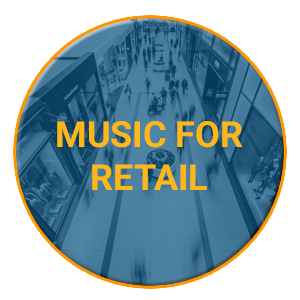 Find the genre of music that best supports your retail brand by searching through over 100 stations of fully-licensed music for business. Top 40 Pop Hits, Hard Rock, Electronic Dance Music, Country, Jazz & Blues, Hip-Hop & R&B, and many more styles of music from all different eras are covered in our music for business catalog. Play the background music that drives your sales! 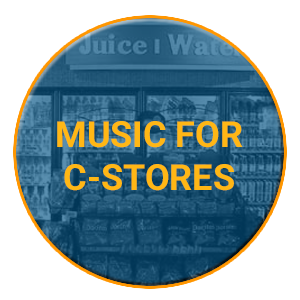 Licensed background music for Convenience Stores is a snap with SiriusXM. Take your daily business to the next level by scheduling different genres of music for different times of day! Convenience Stores have a lot of loyal repeat customers, and they deserve to hear the best variety as they come in multiple times a day. Tailor your licensed music with Daypart Automation and the Grace Digital Radio! Schedule your favorite SiriusXM Business channels to play and change automatically during Early Morning, Mid Morning, Afternoon, Evening, and Late Night without ever touching another button. 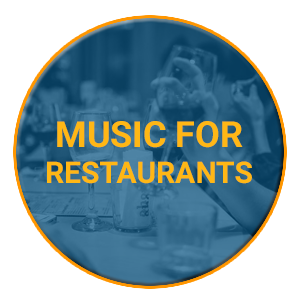 The SirusXM Business channel lineup has a great selection of licensed background music for restaurants. Our uninterrupted family friendly stations are equipped with Classical, Traditional Italian, Sinatra Inspired, Latin Music, Motown, R&B, Mellow Rock, and so much more! Our licensed music can be heard in both Franchise and Privately Owned Bars and Restaurants across the nation. The Food/Service industry loves the SiriusXM lineup for both background music and their Call On-Hold services. Brand your restaurant right, and play the best curated playlists for your customers and service staff. Quick Service Restaurants are also no stranger to the SiriusXM for Business services. QSR franchise owners know background music is an integral part of their branding. Without the right background music, everything just feels flat! 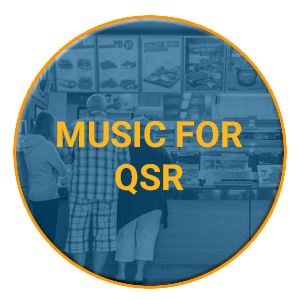 Make sure your customers leave your QSR franchise in a memorable mood, and activate our family friendly radio playlists. National and International QSR franchises across the country use SiriusXM as their background music supplier, and we’re happy to say they love it too. Banks, Tax Prep Services, and Federal Credit Unions are major accounts with SiriusXM Music for Business. Our uninterrupted stations give financial businesses the peace of mind that awkward promotions won’t be aired in their peaceful environment. 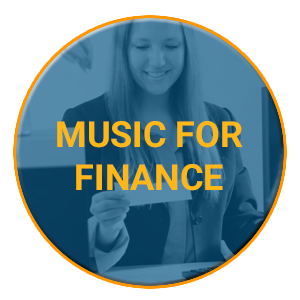 The SiriusXM selection of easy-listening genres are also a big hit with financial institutions. Maintain the calm, classy environment every financial business deserves. Activate your licensed background music for business account today and start streaming! Background music in the fitness industry might be more important than the work-out equipment! 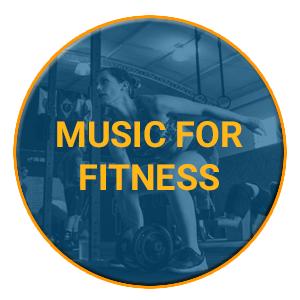 SiriusXM has the upbeat tunes that will keep your Gym or Rehab facility moving at a proper pace. Zumba classes, Spin classes, Martial Arts Schools, and many more fitness programs run their workout routines to the sound of SiriusXM. Over 100 channels of endless licensed workout music for business await your activation. For less than $1 a Day, make sure your fitness business sweats it out right every single week! Hair Salons, Nail Salons, and Luxury Spa establishments are great customers with SiriusXM for Business. 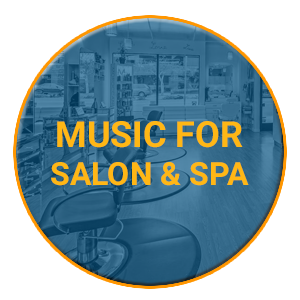 Choosing relaxing overhead music for your patrons can mean all the difference in their Salon & Spa experience. Our Smooth Jazz, New Age, and Smooth Electronic channels make a great fit for their relaxed atmospheres. Salons & Spas also rave about our Call On-Hold background music and messaging services. At many of these businesses, reception staff are also tending to customers. SirusXM Musc On-Hold keeps more appointments on the line while someone becomes free to answer. 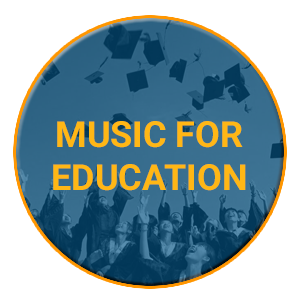 SirusXM for Business makes playing popular music for School Gyms, School Cafeterias, and College Common Areas really easy and fun. If there is one constant in every educational setting, it’s that there’s a new class every year. With new students comes new popular music, and it can be a pain trying to figure out what each new class is listening to. With the SiriusXM Business lineup, choosing new music is effortless. Our professional playlist curators have built background music stations for children and adolescents of all ages. Preschools can have fun with the KidzBop channel, and Colleges can give their students the best of today with Electric Area and Hip-Hop Nation. SiriusXM makes a gas station attendant or auto mechanic’s workday so much easier. 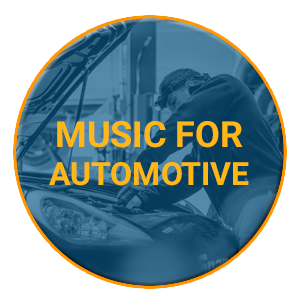 Allow your automotive staff to have their choice of over 100 endless streaming licensed background music stations. When automotive labor staff has the music they love, they love their work! For less than $1 a Day, your Gas Station, Auto Sales Floor, or Mechanic Shop will drive the quality of work and sales your business deserves. SiriusXM plays in the Sonu Media Office Building every single workday, and it brings our team together. 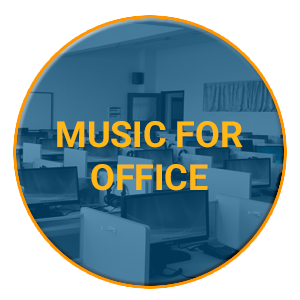 Sharing the beauty of licensed background music allows your staff to have the shared atmosphere great workplaces are made of. If our office building benefits from the SiriusXM for Business services, so will yours. Choose the genre that makes your office building run at its utmost optimal level, and keep employee morale at an all-time high for years to come.